As Muscovites go about the grim business of dealing with yet another act of terrorism against innocent civilians, some are blaming the global community for failing to hold up their end of the bargain in the fight. ­Russia, uniquely positioned as it is between East and West, seems to be holding the short end of the stick when it comes to the “War on Terror”. Although Russia has been the target of acts of terrorism more than most states, it still lacks the full co-operation of the international community when it comes to fighting this global contagion. Every act of terrorism requires at least two things: fanatics and funding. Although it is no difficult thing to find adequately deranged minds to carry out attacks against innocent people, acquiring the necessary funding is a bit trickier. In any case, cash transfers that finance such deplorable activities are traceable, yet this requires the co-operation, as well as the willingness, on the part of the global community. It also requires a willingness to crack down on those who may be in the business of helping terrorists. Thus far, such co-operation has not been forthcoming, at least as far as Russia is concerned. In October 2002, up to 50 Chechen terrorists carried out a dramatic raid on a theater in the center of Moscow, taking 850 hostages. 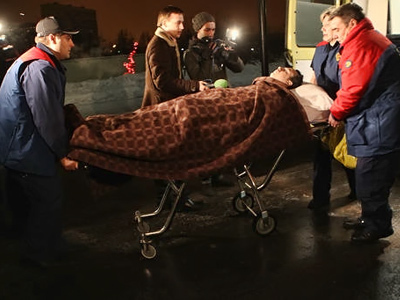 After many hours of tense negotiations, an attempted rescue operation on the part of Russian Spetnaz forces resulted in the deaths of dozens of people. Shortly after this tragedy, Danish authorities arrested Chechen envoy Akhmed Zakayev, who was participating in a so-called World Congress of Chechen People in Copenhagen. Russian prosecutors said they had enough evidence to successfully link Zakayev to the theater hostage-taking. They also believe him to be one of the masterminds behind the ongoing unrest in Russia’s volatile North Caucasus region. Meanwhile, Interpol had declared Zakayev internationally wanted on Russia’s request. Yet despite the evidence against him as presented by Russia, Zakayev, who served as a Chechen field commander from 1995 to 2000, was released after just 34 days in custody. Akhmed Zakayev is now living in the UK, where he has been living in exile ever since. Meanwhile, as investigators continue their search for clues into the deadly blast at Moscow’s Domodedovo International Airport, which killed 35 and injured over 100, some Russian officials are urging people not to jump to conclusions about the origin of the attacks. 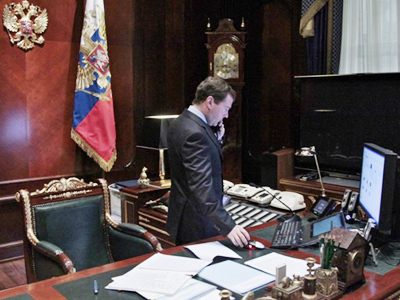 Without providing details, Viktor Ozerov, chairman of the committee on defense and security under the Federation Council upper house of the Russian parliament, said it would be a mistake to think that all acts of terrorism originate in the North Caucusus. Russia is also involved, albeit indirectly, in the war in Afghanistan, where some 200,000 NATO, US and other troops are fighting against the Taliban and Al-Qaeda. To this end, Moscow has opened an air corridor in Russian airspace for US military cargo flights into the Central Asian country. At the same time, Russia is offering logistic and intelligence assistance in the ongoing fight against Afghan poppy, the raw ingredient in heroin production. Clearly, Russia’s fight against “terrorism” is not limited to the Northern Caucusus. Meanwhile, Russia has an assortment of ill-wishers around the world, some of whom once called Russia home. 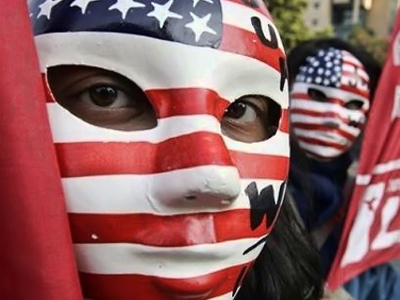 Needless to say, many of these individuals would do everything possible to undermine Russia, especially as it prepares to play host to major international events, like the 2014 Winter Olympics in Sochi and the 2018 FIFA World Cup. Boris Berezovsky, for example, who took control of Sibneft Oil and the country’s main television channel, ORT, following the collapse of communism when everything was up for grabs, is now living in exile in London. In 2007, a Moscow court found Berezovsky guilty on charges of massive embezzlement in absentia. Although there has been no connection made between the former business tycoon and the tragic events of Monday evening, observers say such inflammatory rhetoric should be, at the very least, condemned by the international community (The same sort of search for answers occurred in the US earlier this month after US Congresswoman Gabrielle Giffords was severely injured by a gunman; the attack, which killed six and injured 18, was blamed on the vitriolic atmosphere of American politics). "We need to use force to change this regime," Berezovsky was quoted as telling the Guardian newspaper in 2007. "It isn't possible to change this regime through democratic means. There can be no change without force, pressure." Asked if he was actually fomenting a revolution, he replied: "You are absolutely correct." That comment seems rather straightforward. Berezovsky, 65, declined to provide details as to exactly what sort of “pressure” he had in mind. The Kremlin denounced Berezovsky's comments as a criminal offence which it believed should end his refugee status in the UK. Dmitry Peskov, a Kremlin spokesperson, said: "In accordance with our legislation [his remarks are] being treated as a crime. It will cause some questions from the British authorities to Mr. Berezovsky. We want to believe that official London will never grant asylum to someone who wants to use force to change the regime in Russia." It was not the first time the Russian-born tycoon, who at one time served as deputy secretary of Russia’s Security Council under Boris Yeltsin, has threatened to take down the Kremlin by force. In 2006, following another such outburst, Jack Straw, then-foreign secretary, told the British Commons that "advocating the violent overthrow of a sovereign state is unacceptable" and warned the tycoon he could lose his asylum status. The Russian authorities immediately fired off an extradition request to London, which of course was essentially returned to sender after a district judge reminded Moscow of Berezovsky’s protected status. Clearly, that gentlemen’s “bargain” has been ignored time and again by individuals who are now enjoying safe haven in the United Kingdom. And with every new terrorist attack to rock the Russian capital, past threats “to bring down the regime by force” reverberate like an aftershock. 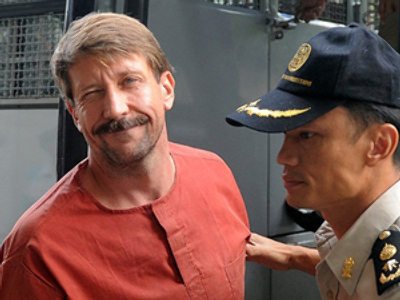 Even before Monday’s barbarous attack, Russians were pointing to the sensational case of Viktor Bout, the Russian businessman who was extradited to the US after his arrest in Thailand on charges of allegedly supplying weapons to terrorist organizations. While there are individuals who publicly call for the overthrow of the Russian government, and utter subversive comments behind the shield of asylum, there are others, like Mr. Bout, who gets duly whisked away from a foreign country for an appointment with the US court system where a guilty verdict has already been chiseled in stone. Not surprisingly, many Russians call such a scenario a blatant case of double-standards. From Russia's offer of co-operation after the watershed events of 9/11 being more or less rejected, to the poppy fields of Afghanistan being allowed to flourish at Russia's expense, the global War on Terror seems primarily to be a matter of concern only when it breaches the boundaries of the West's backyard. 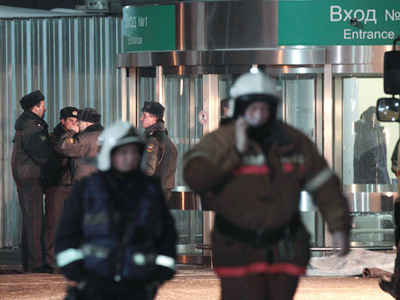 Meanwhile, no claims of responsibility have been issued in Monday's attack at Domodedovo Airport.